Before construction could begin on this project, an analysis of existing conditions was performed to verify the structural integrity of the entryway in preparation for the new steel canopy. After the engineer’s review, we demolished and replaced a number of structural elements before installing the new steel and glass façade and canopy. 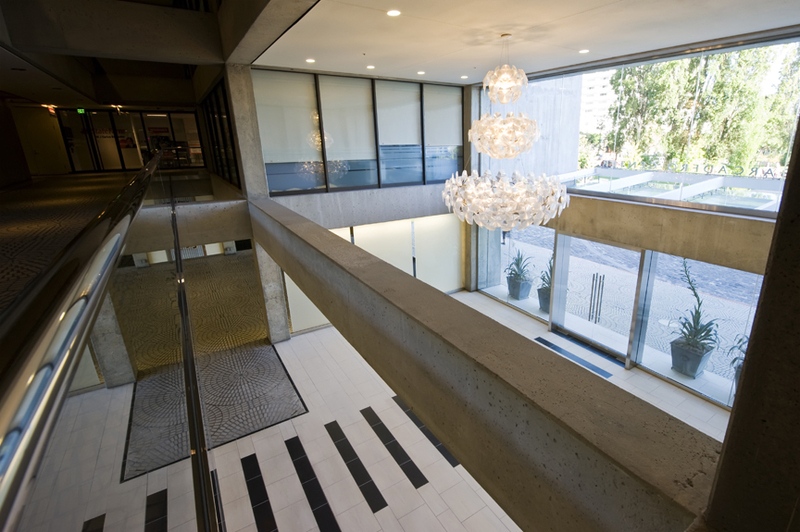 We also upgraded the ground floor and lobby level finishes in the three-story atrium and public corridors. This included a new tile floor with an intricate stone pattern; clad, concrete-cast walls with lightweight stone panels and new lighting and signage with LED back-lit panels. The Clay Street entry remained open throughout the project, providing convenient building access for all tenants.